Evening visit. Nice warming open fire. Very brief evening visit. Upon opening the door I was hit by food reek and U-turned out again very quickly. Early evening visit. Nicely relaxed here. Came to Faversham for a meal and stopped off here first. Friendly with a few people in, mainly sat round the bar. Mid evening visit. very quiet and rather airless. 2 of the 6 lines were in cleaning. Comfortable leather sofas, nice music, free newspapers, friendly staff. Lovely. Evening visit. Coldish night and a nice wood fire to warm the soul. Evening. Good trade. Nice touch when the Guv arrived and went around and greeted each table and group. 2 out of 6 handpump lines were in cleaning which restricted the choice somewhat. 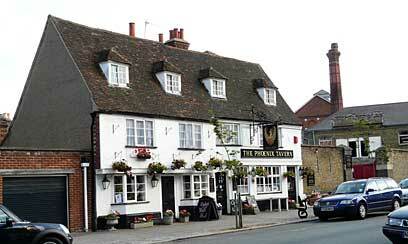 The pub is found in Faversham, Kent, ME13 7BH. Situated on the attractive historic Abbey Street, this is a 3 room pub. Inglenook fireplace. 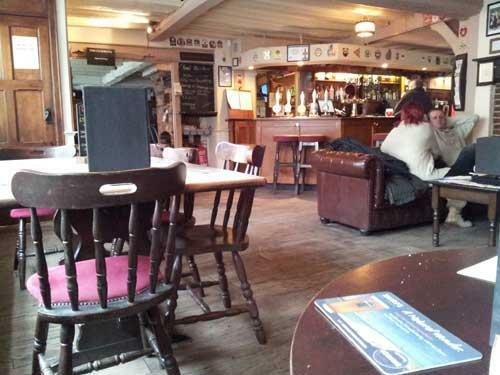 Lots of wood and a lowish beamed ceiling add to the cosy English pub feel. Restaurant seated area. 6 handpumps on the bar counter. Cider sometimes sold from a cask on the counter top. 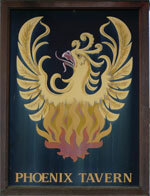 We have visited this pub 24 times, seen 33 different beers and tried 9 of them.